Things are cooling down in Canadian real estate as we move into the early winter months, but that isn’t stopping some intrepid developers from braving the cold and opening their sales centre doors for big events this weekend. While it will be cold in Montreal and Toronto, you should still get out there and keep hunting for your dream home. Grab a hot chocolate and let’s go! Canary District by Dundee Kilmer: Brika Pop-up Shop, Saturday and Sunday, 12pm, 398 Front Street East, Toronto. Barca Verde by Dunsire Developments: Grand Opening, Saturday, 12pm, 1381 Lakeshore Road East, Mississauga. The Anchors at Lakeview East by Dunsire Developments and Fortress Real Developments: Grand Opening, Saturday, 12pm, 1381 Lakeshore Road East, Mississauga. Guildwood Condominiums by Scollard Development Corporation: VIP Launch, Saturday and Sunday, 12pm, 3655 Kingston Road, Scarborough. 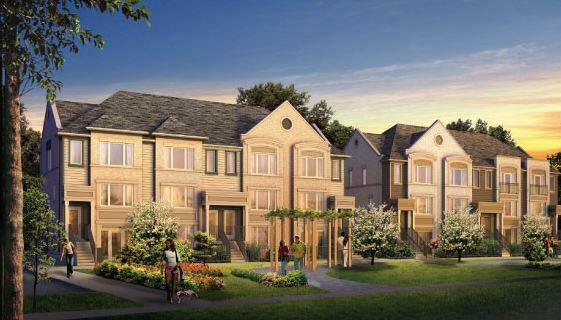 Daniels Encore by The Daniels Corporation: Open House, Saturday and Sunday, 12pm, 5070 Harvard Road, Townhome 93, Mississauga. S Sur Le Square by Prevel: Preview Launch, Saturday, 12pm, 2183 Rue St-Catharine O, Montreal.